Ancient Monuments on Anglesey in North Wales. 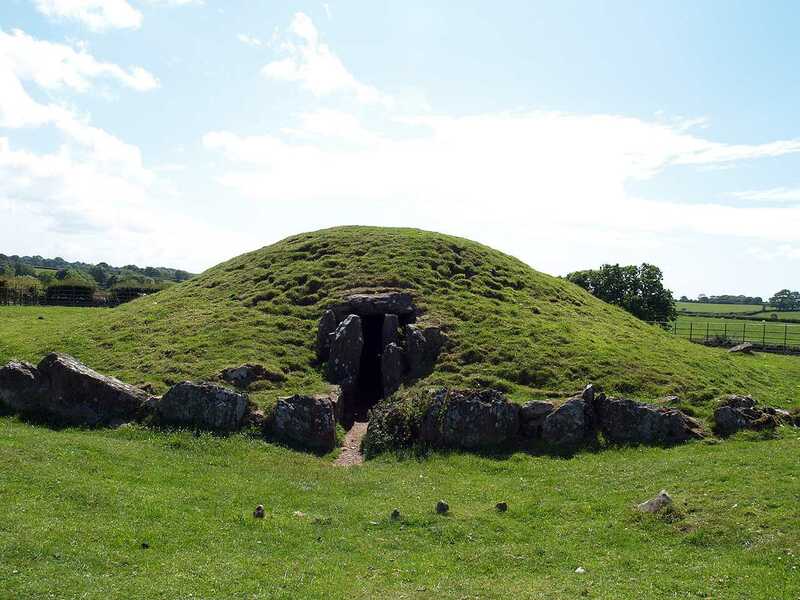 These places of magic, mystical megaliths and burial chambers, these places of ancient sorrowful goodbyes and grateful thanksgiving, these places of sacrifice and ceremony are in abundance here on Anglesey. The island of Anglesey in North Wales is rich with ancient monuments - over 120 scheduled ancient monuments - that are thousands of years old, and these atmospheric jewels in Anglesey's crown are well worth a visit. There are - for example - approximately 30 Neolithic / Bronze age burial chambers on the island, several ancient settlements, and Anglesey standing stones are abundant. We are not really aware of their purpose and we have yet to understand many of their secrets, but it is clear they had to do with some kind of pagan / pre-Christian worship. I have read that the strategic location of the Neolithic sites may represent Sagittarius - and that may be the case - but whatever the truth is they were certainly very important to the peoples that inhabited our island before us. Most, but not all, are located within view of Anglesey's shores. In most cases the locations are in an elevated position, often within clear view of the Snowdonia mountain range on the mainland. Please ensure that you appreciate how important these sites are, and that care must be taken in order for successful preservation to continue. Wherever you travel throughout Anglesey, you are sure to see ancient standing stones, and most would be between 4500 and 5000 years old. The earliest signs of life on Anglesey found during archaeological digs are 8,000 years old, and they are flint workings near Aberffraw. Without a doubt this website has the most complete record and photographs of Anglesey's ancient monuments - and yet I still have so many to do. Burial Chambers / Cromlechs / Dolmens / Passage Graves. Standing Stones - Maen Hir.